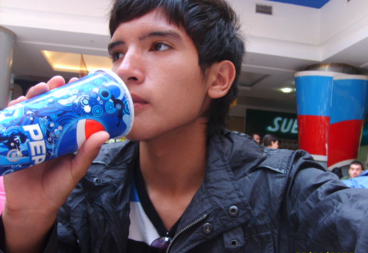 Several studies have linked the consumption of sugary beverages to tooth decay and obesity. CHICAGO — Pop drinkers will be paying more for their sodas with a new Cook County tax passing Thursday. The plan approved by the Cook County Board will add 68 cents to a 2-liter bottle and 72 cents to a six-pack of sweetened beverages. The extra charge will go into effect July 1. The tax should bring in about $75 million annually to the county, officials said. County Board President Toni Preckwinkle has said that the tax will stave off layoffs and help support public health and safety initiatives by the county in addition to reducing the consumption of soda. A beverage is classified as sweetened if it contains either sugar or artificial sweetener, the county says. The tax includes carbonated soft drinks, fruit beverages (except 100 percent fruit juice), sports drinks and energy drinks. County Board President Toni Preckwinkle said some of the revenue generated from the new pop tax will support public health and safety initiatives. Nonsweetened beverages, such as water, various kinds of milk and baby formula are exempt from the tax, the county says. The American Beverage Association lobbied against the proposal, as did a coalition of the Illinois Retail Merchants Association, the Illinois Restaurant Association and Teamsters Joint Council 25. The latter trio said the tax could lead to job losses in the industry, writing that while obesity is "a complex national issue" the solution is not making soda more expensive but providing consumers with information on how to best maintain a balanced diet and give them choices in foods and beverages to do so." An Illinois Policy analysis said the tax will hit poorer people harder, citing a Gallup poll that showed 45 percent of people earning less than $30,000 annually drink pop, while 20 percent of those with yearly salaries of $75,000 do. 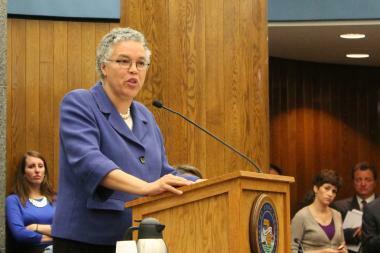 The board voted 8-8 in committee; during the full board vote, Preckwinkle cast the deciding vote. In her budget, Preckwinkle said "Studies have shown that sugary and sweetened beverages are connected to numerous diseases and illnesses, such as diet-related diabetes, cardiovascular disease, tooth decay and obesity." Some of the tax revenue, she added, will help fund "a new community-based outreach effort on diabetes education and nutrition." A study in Berkeley, Calif. showed that consumption dropped 21 percent in low-income neighborhoods after a soda tax was approved there. Former New York mayor and noted anti-sugar activist Michael Bloomberg, who reportedly spent $1 million to support the county tax, said in a statement that Cook County marks the seventh local government to adopt a pop tax to reduce obesity. "This is a major victory for American public health, and a very encouraging sign of things to come. An idea that was written off not many years ago has turned into a movement," Bloomberg said. San Francisco, Oakland and Boulder, Colo., all recently have added pop taxes. In Philadelphia, the American Beverage Association sued to stop a tax there.